I come across many people on Facebook (that is where I have a heavy presence) asking me how to create a business in technology field in no time and be successful. Most of them are non-coders who do not have a basic understanding of how to code an app or build a website. Such is Buzz around tech these days that, everyone wants to be a next success story and build a business online but not many execute it right. Well, quite rightly so – world is changing fast and with digitization introduction in all walks of life, why not dream of an idea which could solve society, economy problems, at domestic as well as at international level. I advise everyone to think of any idea, make sure it is original and relates to the social or economic problems around us and hire a freelancer to get the job done. People typically say, well…we can code it ourselves after all Mark Zuckerberg and Larry Page coded their business too. To them I always say this, they had computer coding knowledge, if you think you can learn the coding with no formal computer education, I can put my two cents; wait till the Hell Freezes Over. It is like, I do not know how to build a house, I think I have the money and I will be able to do it on my own. I have to buy a land first, then learn how to build a house. I can do it but not before 20 years because, I have no idea how a house is built. Similarly for those who have got an amazing idea and money but do not know how to code are better advised not to do it themselves. The reason is, you may be able to code an app but @ cost of 20 years. My answer is, outsource and hire someone who is backed-up with a portfolio of work you are looking to get done. This way you save yourself time and you focus on the issues that matter the most i.e “Business”. If you want to turn your concept into a reality and decide to outsource your work in Freelance marketplace, do not go for the lowest quote. 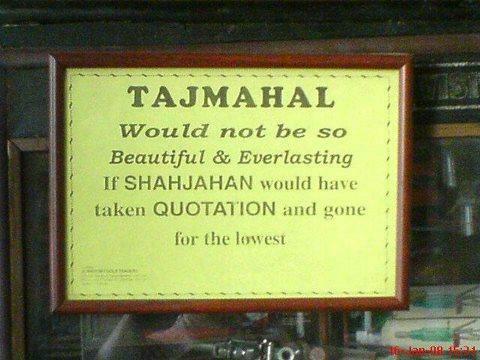 As a freelancer, I can assure you that low quotes are not essentially the best quotes. If you want to get a job done, hire the best. Life has strange ways of testing us, some times it tests us with money and some times with the health. Chad Mureta had an average life before he met a severe accident. You probably have not heard his name but there is a chance you have used one of his mobile apps, Emoji (funny, smile faces) and FingerPrint Security Pro. His Apps have been downloaded over 50 Million times making him Multi Millionaire in a very short time. His story is very interesting and motivating. Chad is not a tech savy coder who was bought and raised in the Silicon Valley and coded his way to the top. In-fact, Chad did not like computers much all his childhood or teen life. He started his career as a real estate agent. In 2009, while driving — a deer crossed his path and to save car from hitting the animal, he lost the car’s control. The car flipped over multiple times. The deer died on the impact while Chad had multiple injuries, fractures. Doctors told him it was a miracle that he is still alive but he has to stay in hospital for few months, putting him under a debt of $100,000 with medical bills. The only thing that luckily survived the deadly accident was his iPhone, which he had just bought few months back. His friend told him to cash on the booming tech industry but Chad had no interest in technology, on the other hand sadly he had no choice. He was under huge debt, it would take him years to be physically fit, come out of rehab and resume his real estate career. He had no idea what he wanted to do in tech industry and if by a chance he figures out his “what”, question gets down to “how”. He did not have any coding experience and all the apps out there were coded by someone. This “someone” was the clue – clueless Chad ever needed to know to change his life and the rest is history. He used to look at the downloaded pattern of the apps on his iPhone, which apps he uses the most and why. His friend was very instrumental in brainstorming an idea that could change his future. Chad came-up with the idea of a FingerPrint Security Pro app. He got some money from his step father, outsourced the job and got an app developed for $1800, within 3 months the app was live in the app stores. In the first month, app earned $12,000 and that was a turning point in his life. Within 6 weeks, he had 6 more apps in development and all began to do well in app stores. He formed his company, developed a lot of apps, at a point earning $120,000 a month. In two years, he sold his three app companies which ranked in Millions. This non tech guy changed his fortune by coming up with business ideas, outsourcing them and earning good money. This is what all entrepreneurs need to learn, you can not do everything on your own, designate responsibilities and take the driving set, call the shots and give directions. Keep trying and never give up on yourselves..